Beautifully done, elegant layout! I love the framing! Oh wow Stine, this layout is beautiful.. 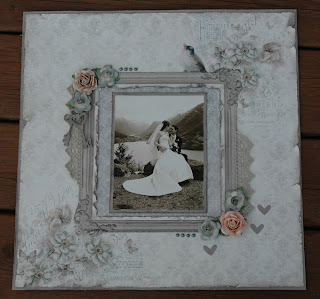 I love your paper choice its perfect for your page..
Gorgeous, Stine!!! Love the Pion Papers and your did a wonderful job with them!!! Hugs!! Beautiful layout. And very elegant ! Love it!